DashO is a Java and Android Obfuscator plus much more. It provides enterprise-grade app hardening and shielding, greatly reducing the risk of intellectual property theft, data theft, piracy, and tampering. Our layered obfuscation, encryption, watermarking, auto-expiry, anti-debug, anti-tampering, anti-emulator, anti-hooking, anti-rooted device solution provides protection for applications all around the world. How easy is it to decompile Java based applications? Java and Android applications and libraries are compiled to bytecode which maintains high-level information about your code including its structure and class, field, method, property and parameter names. With a free decompiler, it is very easy to recreate the source code. Obfuscation and related hardening and shielding techniques can make it much more difficult for a hacker or competitor to reverse-engineer your application. Why use a Java Obfuscator or an Android Obfuscator on your applications? Applications are on our phones, inside our workplace, and powering the businesses and services we depend upon – it comes as no surprise to anyone that these apps have also become a favored target for cybercriminals, corporate competitors, and hostile nation states wanting crack licenses, steal valuable IP, trade secrets and confidential data, and attack critical infrastructure. By making your application much more difficult to reverse-engineer, you can help protect against intellectual property (trade secret) theft, bypassing licensing or other access checks, and searching for vulnerabilities and gaining access to data. How does Java application hardening and obfuscation work? 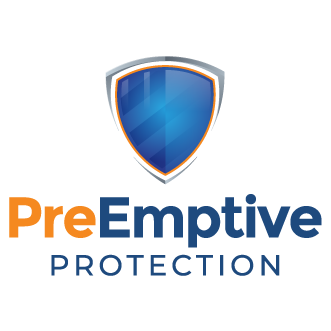 We offer PreEmptive Protection - DashO as a world-class, proven Java, Kotlin and Android application hardening and obfuscation tool. DashO provides smart application protection and runtime security controls that materially reduce these risks without costly programmer overhead or unacceptable hits to application performance or quality. Have an App Worth Protecting? Try DashO Today! Learn more about our Android Obfuscation solution. Learn how to protect your apps from piracy, malware and other popular attacks. Try it for free to find out for yourself! Download the latest Professional version to try it out! (Website registration required). Check out the DashO Features page to find out how DashO protects your code.